The Henleaze is a 2 bedroom apartment of which there are 3 within the Smarts Quarter development (see floor plan). The apartments are located on the ground, 1st and 2nd floors. Each stylish apartment comprises an open plan lounge /diner with space for a home office, well equipped kitchen, 2 bedrooms and a bathroom. Externally there is secure undercover parking as well as a separate store and secure bike storage area. 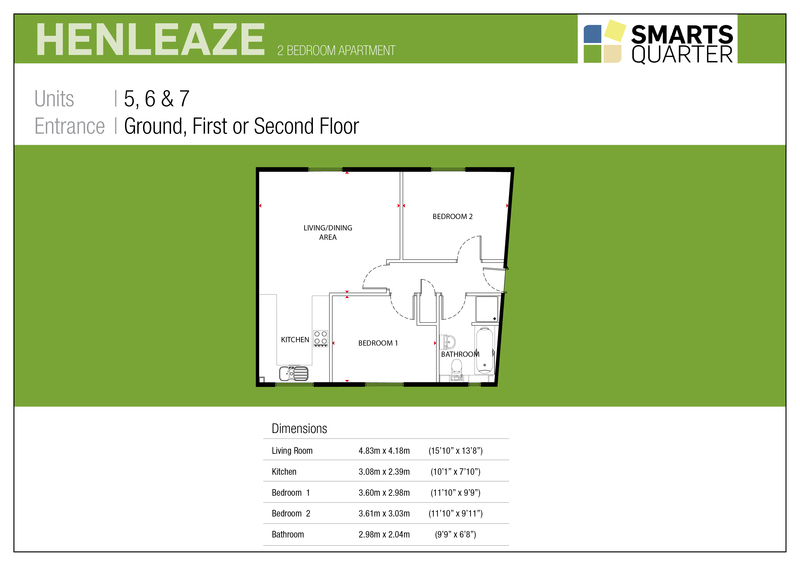 Have a look at where the Henleaze apartments are located on the Smarts Quarter site plan.